This is an exciting opportunity to work in an acute care hospital and designated Trauma Center! San Joaquin General Hospital is seeking the ideal candidate to join a team of friendly staff committed to creating a warm and personal environment which is sensitive to both a patient's emotional and physical needs. The ideal candidate is a highly motivated individual with a strong work ethic, excellent communication skills and should be comfortable working independently as well as in a fast-paced, team-oriented environment. Possession of a current certification as a Registered Cardiac Vascular Technician (RVT) and a Registered Diagnostic Medical Sonographer (RMDS) in good standing with the American Registry of Diagnostic Medical Sonography (ARDMS) is highly desirable.  Established in 1857, San Joaquin General Hospital is a 196-bed teaching hospital, a designated level III Trauma Center and Certified Stroke facility. Dedicated to a philosophy of excellence in providing health services, education and professional training in an integrated system that values quality in life, family interaction, and respect for both clients and employees. The Agency is committed to the delivery of community-oriented, culturally sensitive, and affordable health care throughout San Joaquin County. San Joaquin General Hospital is a 24 hour, 7 day a week facility. Shift assignments are based on operational needs and may include stand-by, weekends and holidays. This recruitment is being conducted to fill a part time vacancy in the Cardiac Cath Lab at San Joaquin General Hospital located in French Camp, California and to establish a list for future vacancies as they occur in Cardiac Cath Lab. Resumes will not be accepted in lieu of an application. A completed application must be postmarked or received online by the final filing deadline. Performs specialized procedures such as echocardiograms, stress tests, Holter electrocardiogram recording and scan, Dobutamine stress echocardiogram, and transesophageal echocardiograms; operates and monitors equipment; observes patients, noting vital signs and reactions. Performs specialized procedures such as echocardiograms, stress tests, Holter electrocardiogram recording and scan, Dobutamine stress echocardiogram, and transesophageal echocardiograms; operates and monitors equipment; observes patients, noting vital signs and reaction. Sets up equipment for tests; lays out supplies and instruments. Obtains pertinent clinical information from the patients, referring physician, patient's record, cardiac-related physical findings and laboratory data to apply the necessary sonographic techniques to obtain comprehensive diagnostic information; explains procedure to patient; monitors patient during procedure; notifies charge nurse or physician if patient shows signs of distress; initiates appropriate action to maintain patient or correct distress. Selects the appropriate operating mode for the specific ultrasonic examinations of cardiac motions, recognizes abnormal conditions, and adjusts recording techniques to obtain appropriate display. Operates computer systems for report generation and image storage systems; selects correct images for acquisition and stores appropriately in database; performs echocardiography on children, infants and adults; disassembles, cleans and reassembles all equipment; makes minor repairs, replaces defective parts. Mounts and labels records of procedures; makes photocopies; routes to physician for review and interpretation; maintains file of reports. Maintains inventory of supplies; orders as needed. Acts as an expert resource to nursing and technical staff when complex or technical questions arise; maintains a broad knowledge of state-of-the-art technology, equipment and/or systems. Performs routine periodic quality assurance and safety checks on the ultrasound equipment. Experience: One year of experience performing cardiac diagnostic procedures including echocardiograms. Education: Completion of an approved training course in echogradiography technology or ultrasound technology. Certification: Possession of current certification as a Registered Diagnostic Cardiac Sonographer or a Registered Cardiac Vascular Technician. Anatomy and physiology of cardiovascular disease; echocardiography principles and procedures; guidelines and regulations pertaining to provision of echocardiography symptoms of seizures, cardiac distress, and normal vital signs; medical equipment and apparatus; sterile techniques; resuscitation techniques; basic filing systems. Establish and maintain a sterile field; skill in the use and maintenance of specialized echocardiographic equipment; demonstrate knowledge of physiology and recognize the disease process and notify appropriate physician of problems, abnormalities and signs of patient instability; explain technical procedures to patients; deal with patients sympathetically and tactfully; record information; perform accurately and quickly in stressful situations; follow verbal instructions; work independently to obtain required images; train others. Mobility-Occasional use of data entry devices; sitting and standing for long periods; climbing stairs and crawling; frequent walking, bending squatting; Lifting-Frequently from 5 to over 70 pounds; frequently restrains, lifts and turns heavy objects; Visual-Constant use of color perception, hand/eye coordination, depth perception, reading/close-up work, and peripheral field of vision; Dexterity-Constant holding, reaching and grasping; frequent repetitive motion; occasional writing; Hearing/Talking-Constant hearing of normal speech and talking in person; occasionally talk and hear on the telephone; hear faint sounds; Emotional/Psychological-Occasionally deals with emergency situations; occasional exposure to trauma, grief and death; occasional public contact and constant contact with patients; frequent decision making and constant concentration; Special Requirements-Occasionally work alone; work nights, weekends and overtime; occasional travel; Environmental Conditions-Frequent exposure to noise; occasional exposure to dirt, dust, fumes and poor ventilation, and hazardous materials.